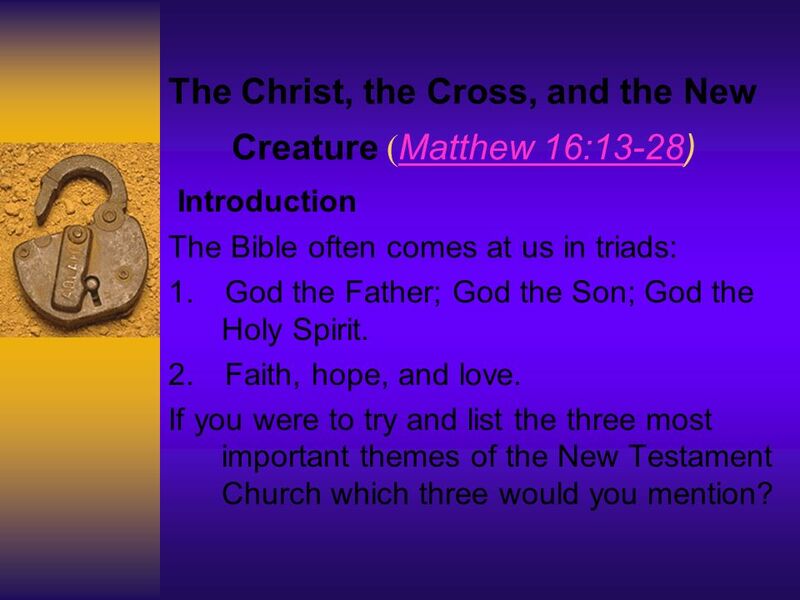 1 The Christ, the Cross, and the New Creature ( Matthew 16:13-28) Matthew 16:13-28 Introduction The Bible often comes at us in triads: 1. God the Father; God the Son; God the Holy Spirit. 2. Faith, hope, and love. 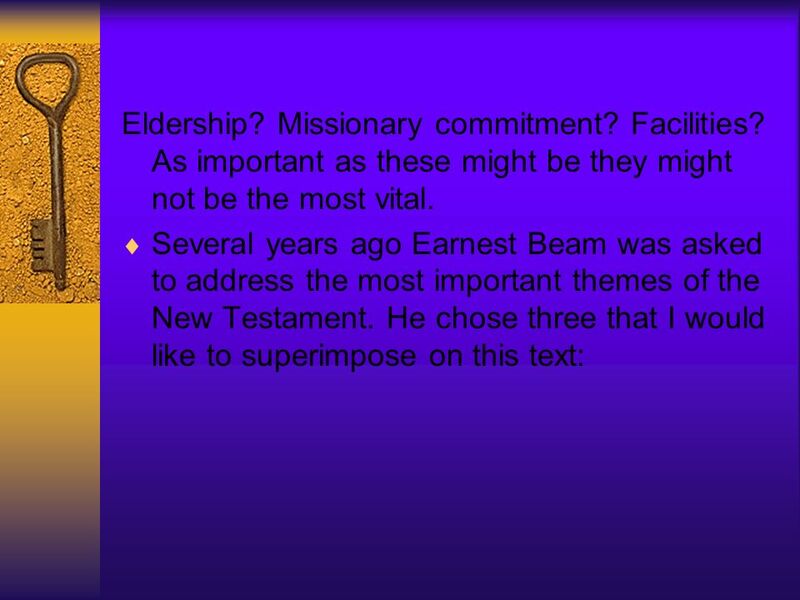 If you were to try and list the three most important themes of the New Testament Church which three would you mention? 4 The setting a rocky and pagan area. A foundational truth would be spoken in an exclusive way. 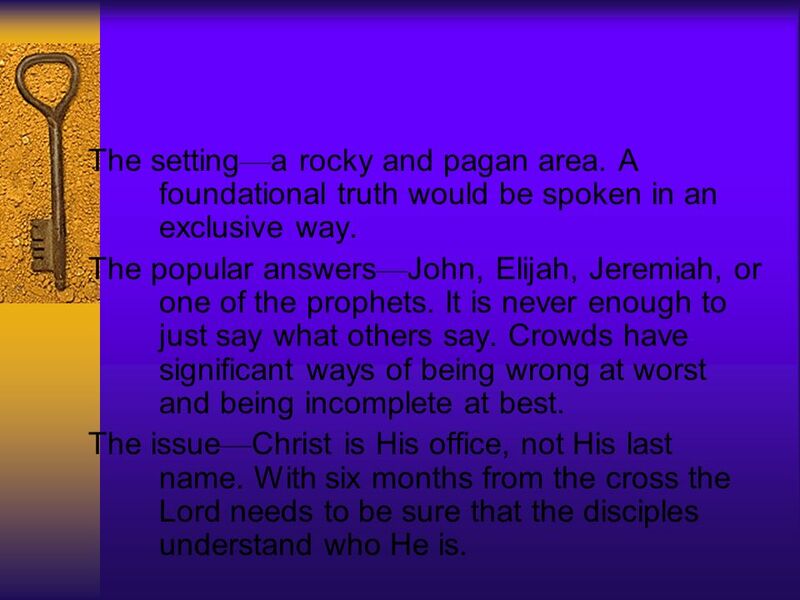 The popular answers John, Elijah, Jeremiah, or one of the prophets. It is never enough to just say what others say. Crowds have significant ways of being wrong at worst and being incomplete at best. The issue Christ is His office, not His last name. 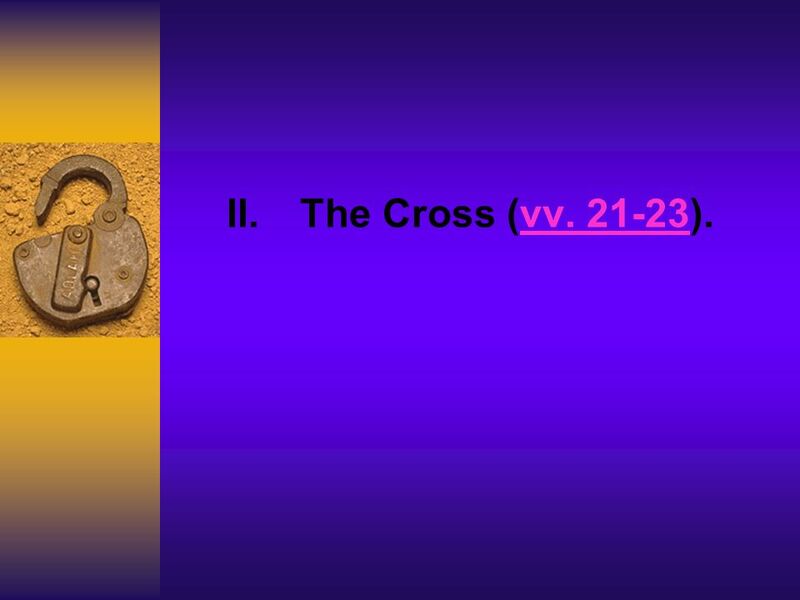 With six months from the cross the Lord needs to be sure that the disciples understand who He is. 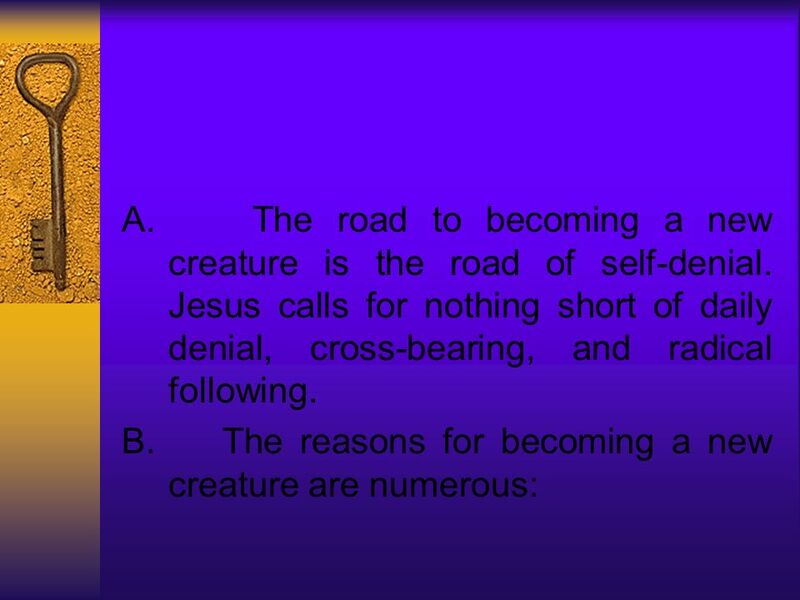 6 A. Jesus announces the divine necessity of His suffering. From that time on marks a turn in the Gospel of Matthew (cf. Matthew 4:17). Now the references to the cross will not be veiled. 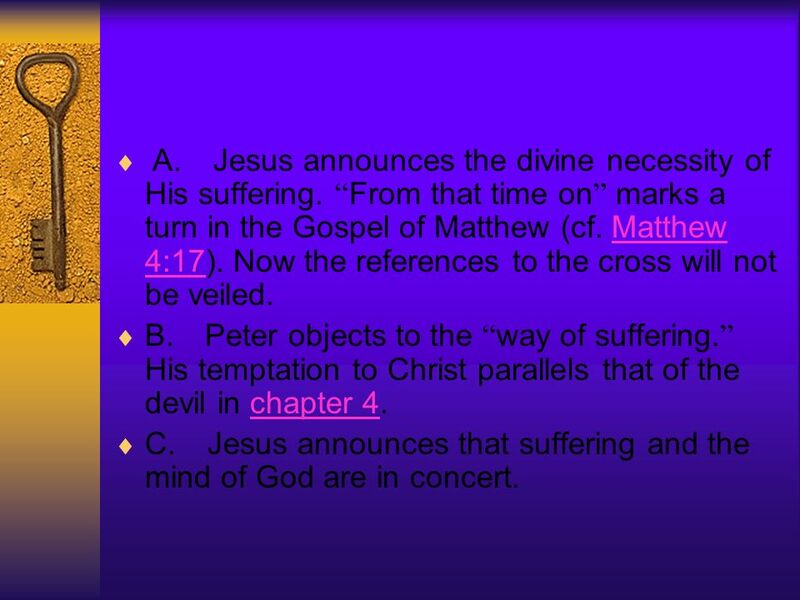 Matthew 4:17 B. Peter objects to the way of suffering. His temptation to Christ parallels that of the devil in chapter 4. chapter 4 C. Jesus announces that suffering and the mind of God are in concert. 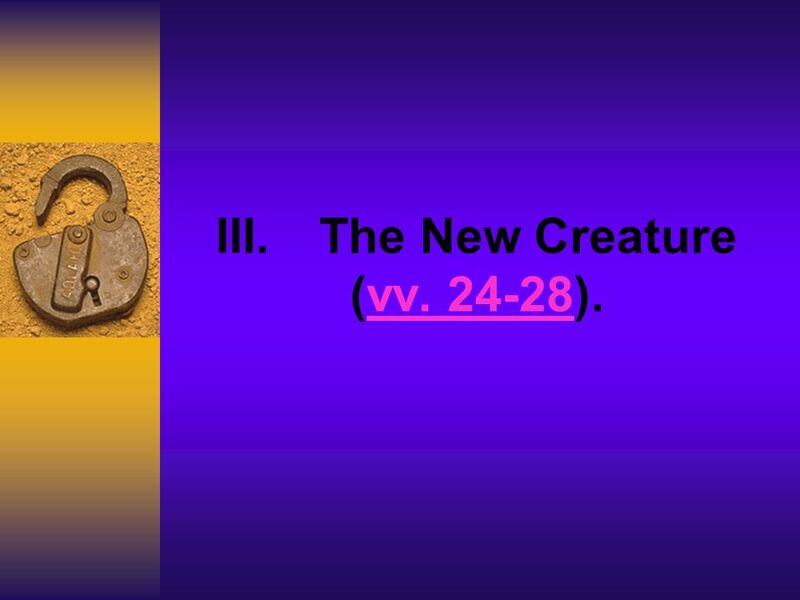 Download ppt "The Christ, the Cross, and the New Creature ( Matthew 16:13-28) Matthew 16:13-28 Introduction The Bible often comes at us in triads: 1. God the Father;"
THE HOLY SPIRIT ABIDING IN US Romans, Chapter Eight. Characteristics of an Alive Church Colossians 1:1-14. (1) A desire to be obedient Evangelism wasnt an idea thought up by traveling revivalists or marketing specialists. 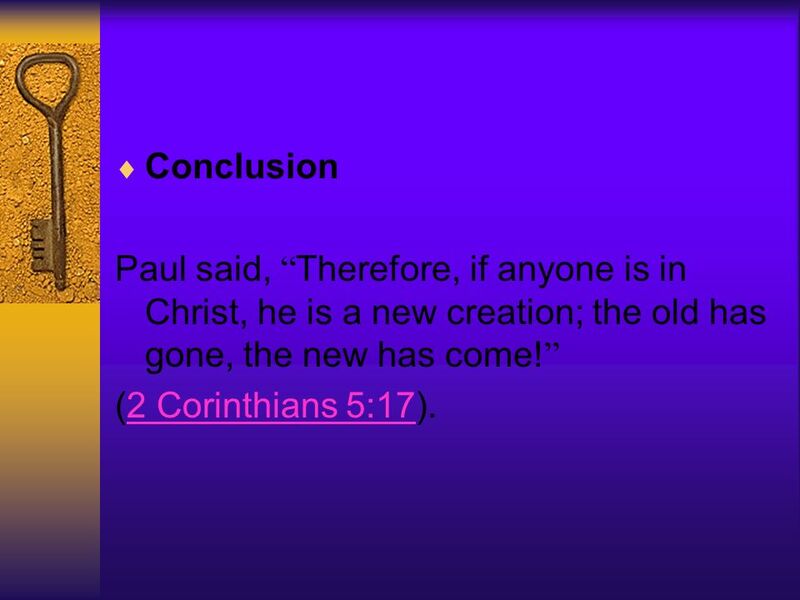 It was the risen Lord Jesus Christ. 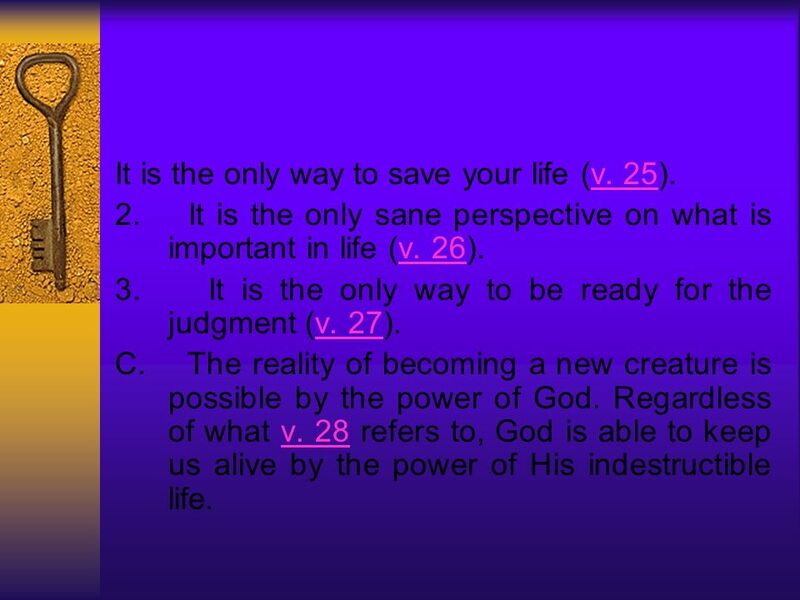 Created to Be Reaffirming the Reality of Who I Am as Part of the Body of Christ.